ICICI Bank, HDFC Bank, L&T, IndusInd Bank, Reliance Industries (RIL) and ITC contributed the most to the S&P BSE Sensex's gains. Benchmark indices, the S&P BSE Sensex and the Nifty50, scaled fresh peak on Tuesday amid brisk buying in financials, auto and fast moving consumer goods (FMCG) counters. 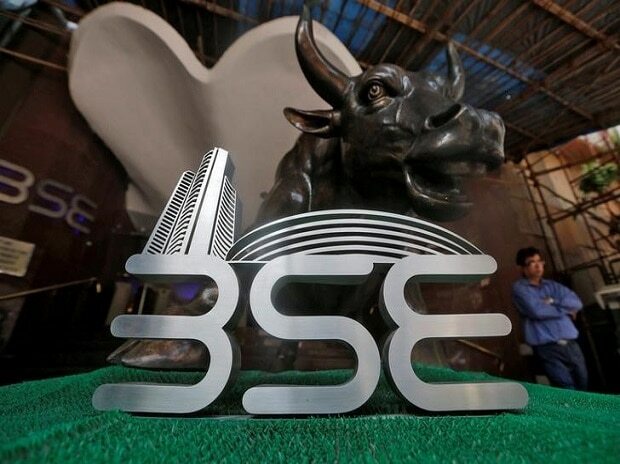 The S&P BSE Sensex hit a fresh lifetime high of 39,364.34 in intra-day trade, while the broader Nifty50 surpassed 11,800 mark to hit a new high of 11,810.95. However, both indices trimmed gains and ended the day at 39,276 and 11,787 levels. “Indian markets had a dream run over the last few weeks on the back of dovish and accommodative global central banks and unprecedented foreign flows. The sentiment got a fillip once the Meteorological Department (IMD) forecast near normal south-west monsoon. The street is also anticipating further rate cuts to reverse the economic slowdown and sensing a return of consumption demand, post the election results,” said Devang Mehta, head of equity advisory at Centrum Wealth Management. Cut in interest rates by the RBI: Forecast of a near-normal monsoon by the IMD boosted hopes of a rate cut by the Reserve Bank of India (RBI) in its next policy review on June 7. Analysts now expect the central bank to slash rates by another 25 basis points. “The IMD has just forecast a near normal south-west monsoon (at 96 per cent of long-period average). It projects a well-distributed rainfall scenario that should benefit farmers in the autumn kharif harvest. This supports our call of the RBI MPC cutting rates by 25 bps to 5.75 per cent on June 7 given Gov. Das's dovish Friday IMF speech,” analysts at BofAML said in a recent note. Buying in index heavyweights: Buying in index heavyweight counters like Reliance Industries (RIL), Larsen & Toubro (L&T) also aided sentiment. Banking counters such as IndusInd bank and ICICI Bank also saw brisk buying. HDFC Bank, too, gained ground ahead of its results for the fourth quarter ended March 2019 (Q4FY19) due April 20. Most analysts expect some stability to return in the troubled banking sector, reeling under mounting bad loans and liquidity crunch, as the latter has improved along with the Reserve Bank of India (RBI) cutting rate in the February and April 2019 policy meeting by 25 bps each. Fall in crude oil prices: Oil prices fell on Tuesday after Russian Finance Minister Anton Siluanov said over the weekend that Russia and OPEC may decide to boost production to fight for market share with the United States, which would push oil as low as $40 per barrel. The Organization of the Petroleum Exporting Countries (OPEC) and its allies including Russia, known as OPEC+, will meet in June to decide whether to continue withholding supply. That comes after they previously agreed to crimp output by 1.2 million barrels per day (bpd) from January 1 for six months, Reuters reported.